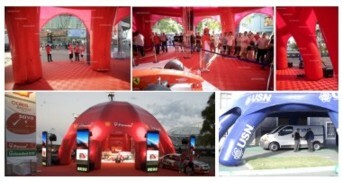 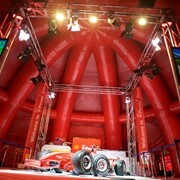 Inflatable Portable exhibition, conference tent or multi-use shelters. 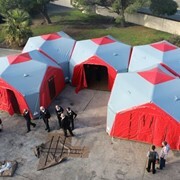 The rapid set-up time is from 10 minutes on the small shelter to 3 hours on the larger units. 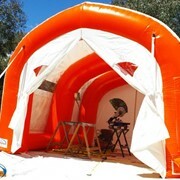 The Superdome range of portable inflatable Air Frame dome buildings, bring together years of development and field-testing, of this very versatile form of high roofed inflatable tent. 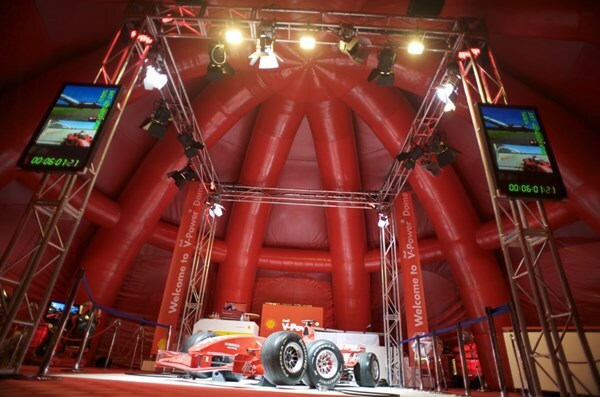 Having a circular footprint, with access all around the circumference, makes them ideal for exhibition, show and demonstration spaces. 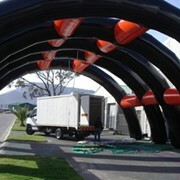 The circular configuration allows electrical, video and audio cabling to easily be trunked to a central service point. 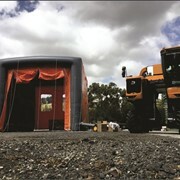 As the need for a cost effective, rapidly deployable high roofed temporary building that can offer versatility in use becomes more apparent, Giant Inflatables Industrial Solutions have designed this range to fulfil those needs. 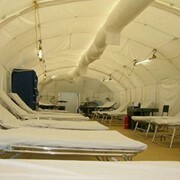 Airframe Structures are a very versatile way of reducing the weight of portable shelters without having to compromise on the benefits of Inflatable Cell portable buildings. 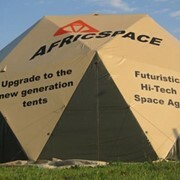 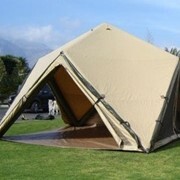 The simple concept of the Air Frame structures is very similar to conventional frame tent structures but has been reinterpreted for modern applications. 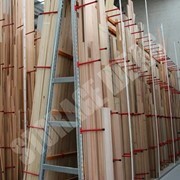 There are however no solid poles that could get damaged. 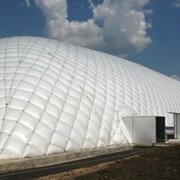 The covering membrane is supported by a frame that gains structural integrity from a low-pressure inflatable tube structure. 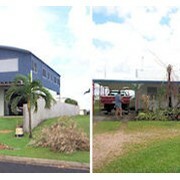 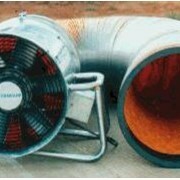 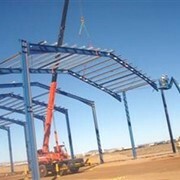 The standard range of Superdome Air Frame buildings on offer cover areas from 20m2 to 180m2. 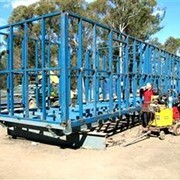 The systems are supplied in easy to handle heavy-duty storage bags and are read to operate with very little experience and technical know-how. 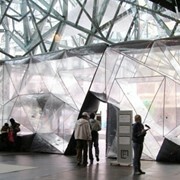 Why not explore your ideas with us at no cost. 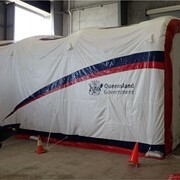 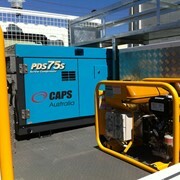 Just call 1300inflate – 1300463528 or visit our website and mail us from there. 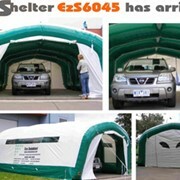 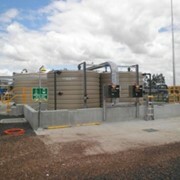 www.1300inflate.com.au.